Venus 1888 Women at War by Joe Caruso | H.A.W.K.S. 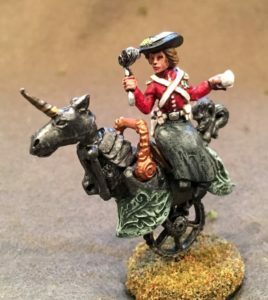 I bought into Kickstarter some months back for figures from Joe Corsaro, called Venus 1888 Women at War. I really like the figures, and I finally got around to painting them. I really like the mechanical unicorns on unicycles. These riders are very cool looking figures. They look female without being pornographic or exaggerated. Five of the ten female cuirassier. The other five. I haven’t decided what flag to put on them yet. 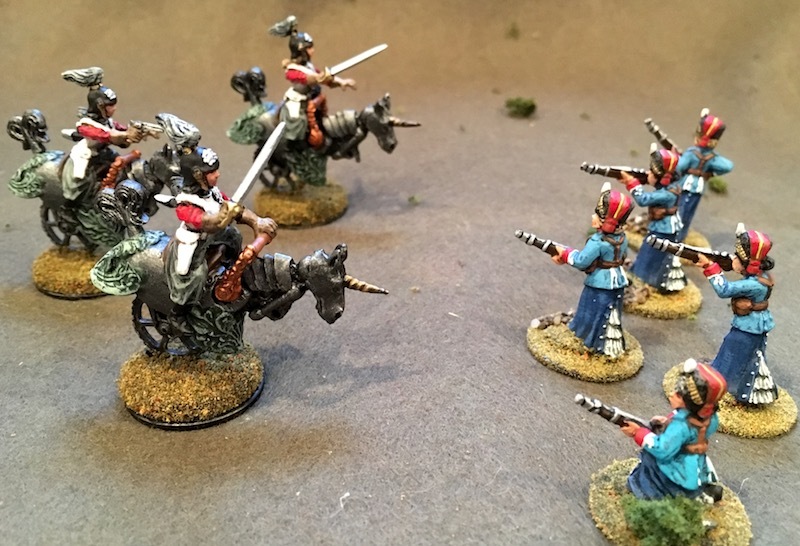 Joe Caruso’s Women at War charging against Hinterland Female Hussars.